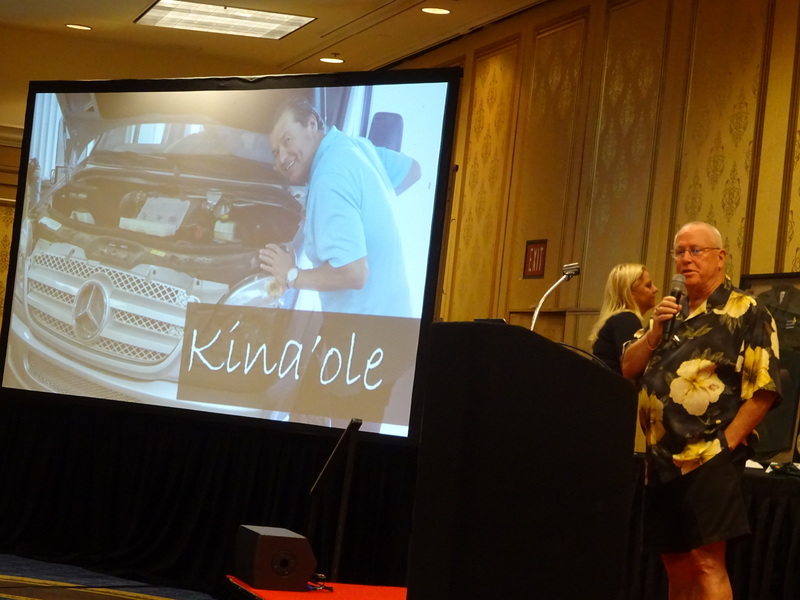 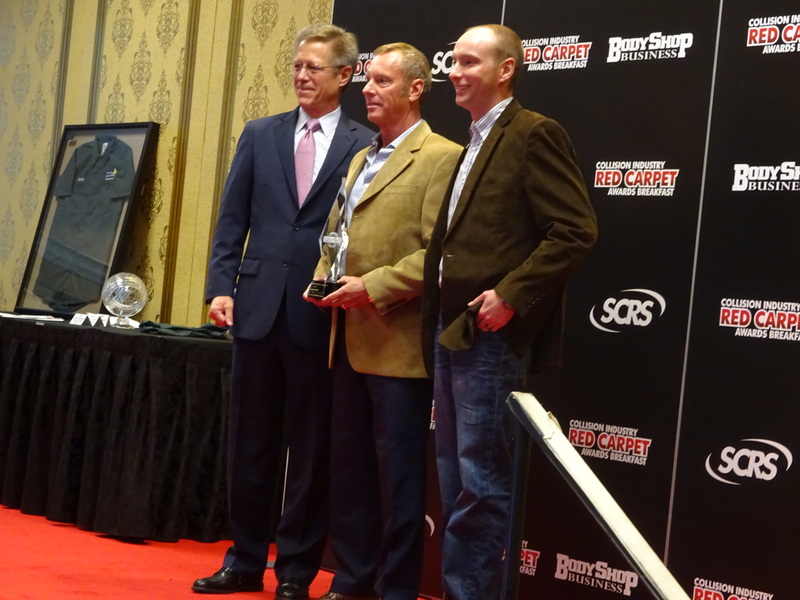 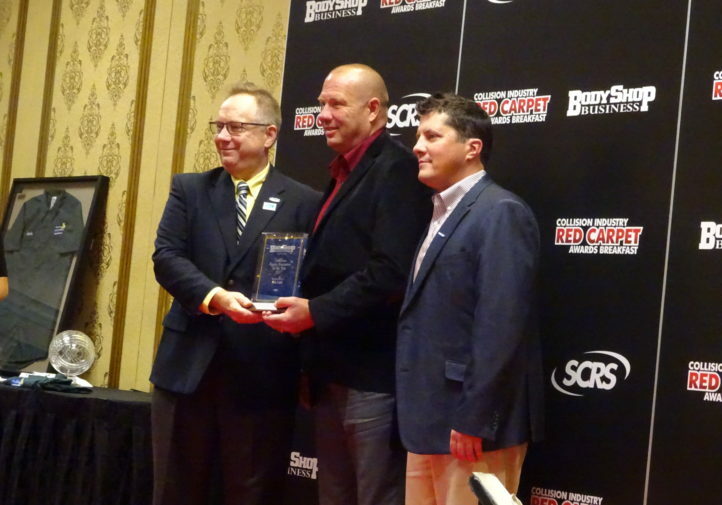 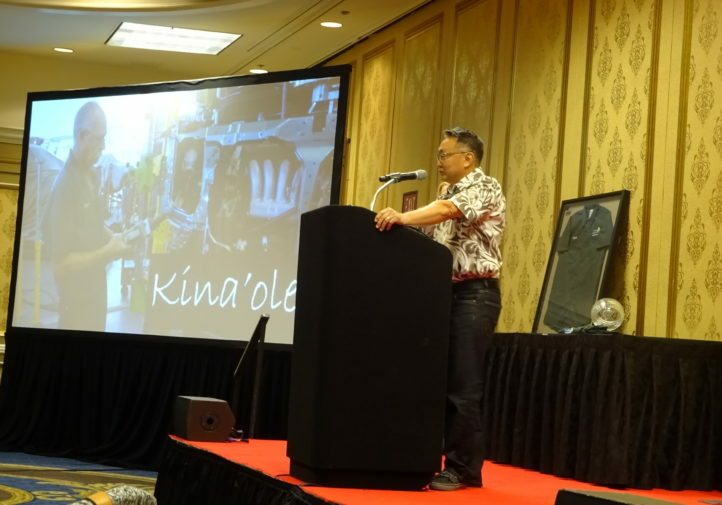 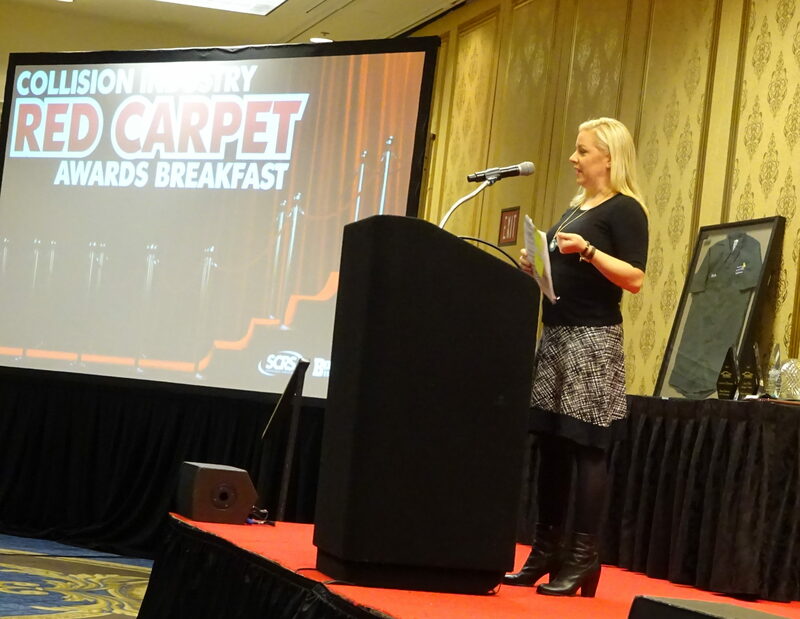 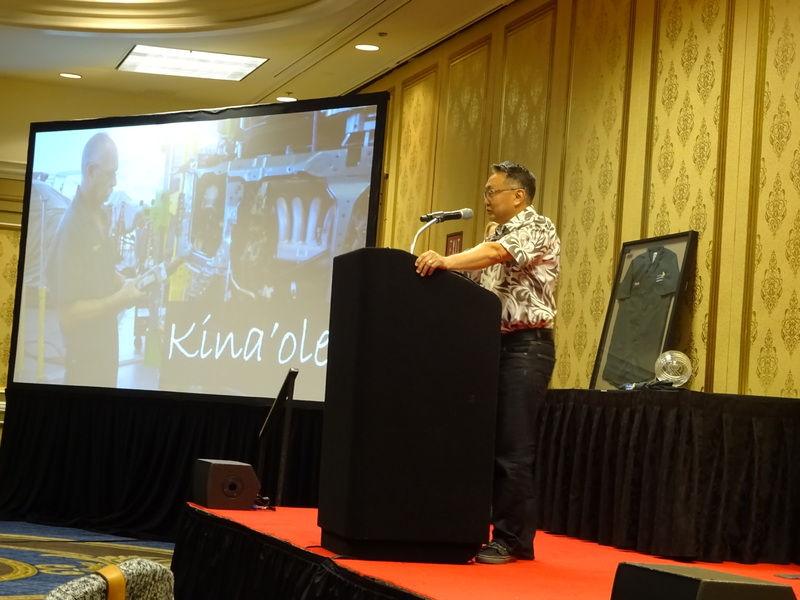 Some of the collision repair industry’s leading organizations handed out their highest awards Wednesday during the Society of Collision Repair Specialists and BodyShop Business’ Collision Repair Red Carpet Awards Breakfast. Winners included an I-CAR Platinum estimator dedicated to making his carrier Gold Class, an Idaho repairer who literally built his own shop, and a recycled parts e-commerce platform. 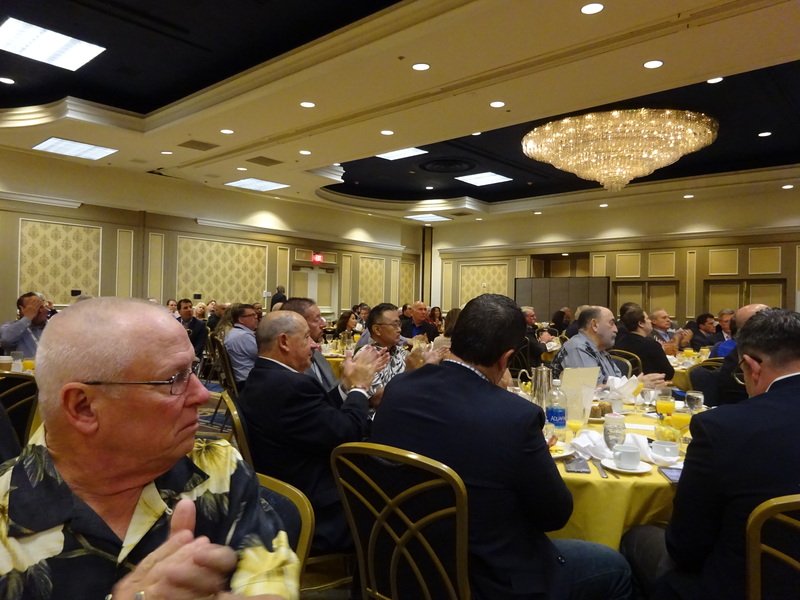 “The people in our industry is what makes our industry special,” said emcee Jordan Hendler (Washington Metropolitan Auto Body Association). 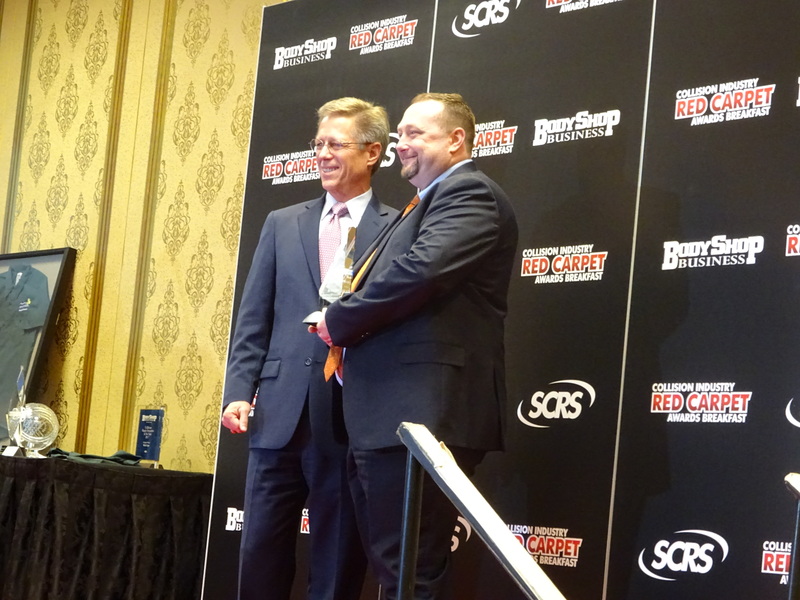 Here are the winners from the 2017 event and assorted color from the presentations. 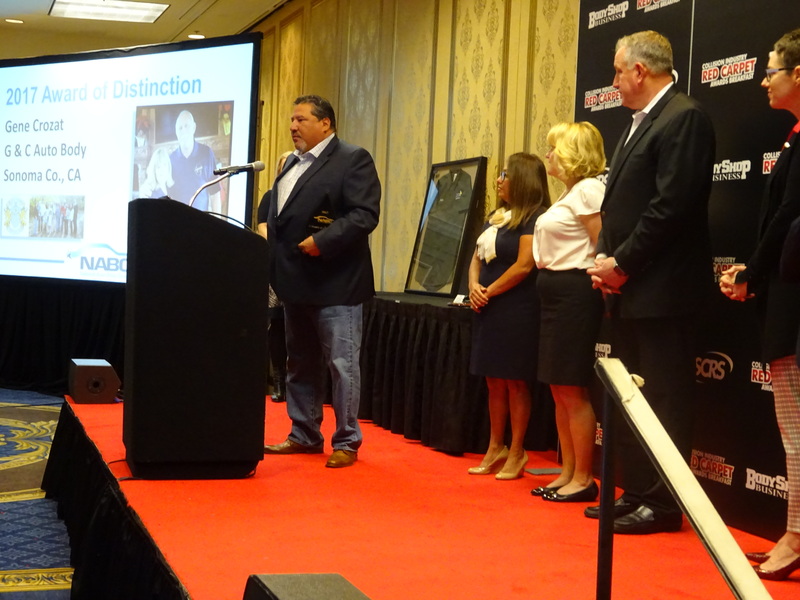 Award of Distinction: Gene Crozat, G&C Auto Body, Sonoma County, Calif.
David Pajon, who handles marketing for G&C, accepted the award on behalf of his wife’s late uncle, calling him “quite an impressive man.” Crozat, who died in 2016, demonstrated a body of philanthropy which included helping keep siblings from being split up to different foster homes, housing the homeless and feeding parking meters for his community. 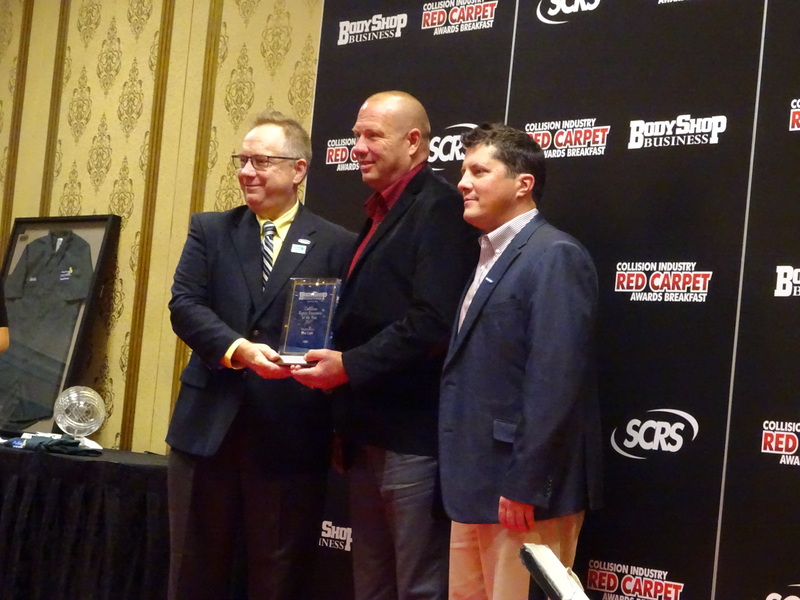 Body Image Award: Dave Neistroy, 3D Collision Center, Conshoshocken, Pa.
“It was a lot of fun,” Neistroy said of the renovation which earned him the award. 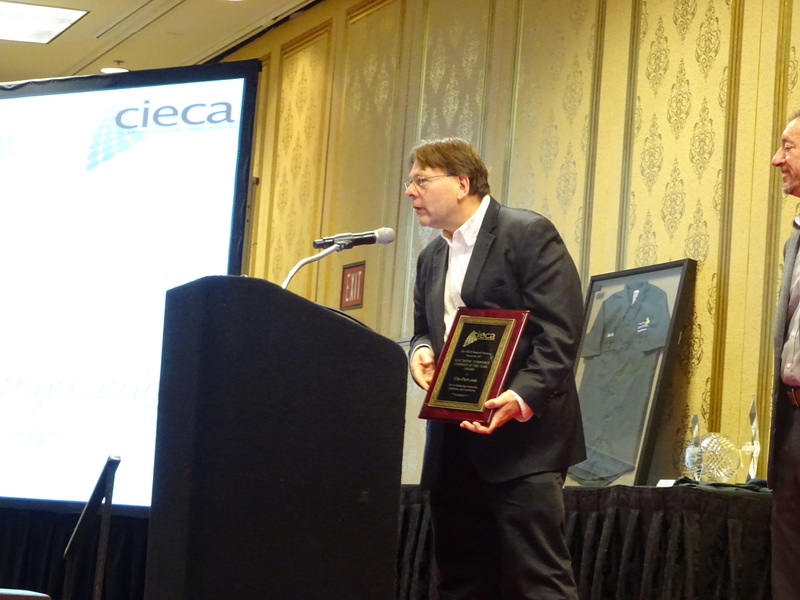 CEO Jeff Schroeder observed that the discussion of CCC’s Secure Share on Tuesday during the Collision Industry Conference demonstrated just how important CIECA is to the industry. 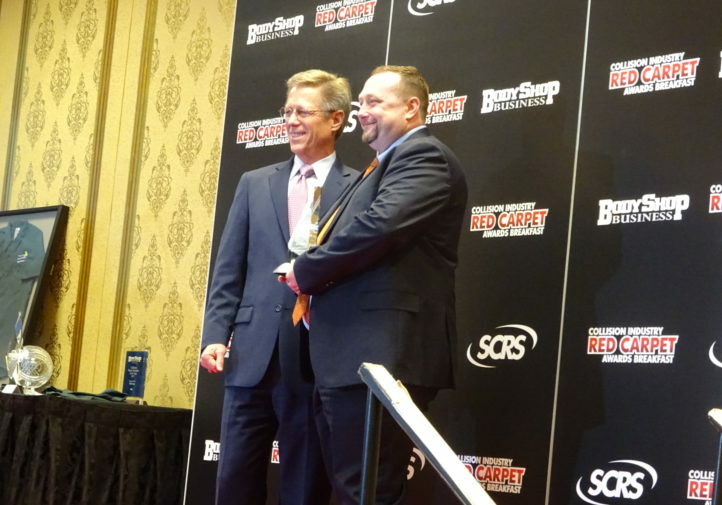 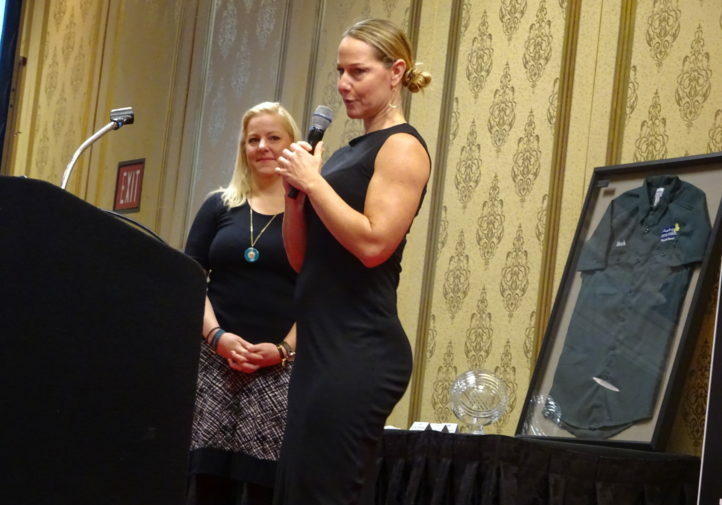 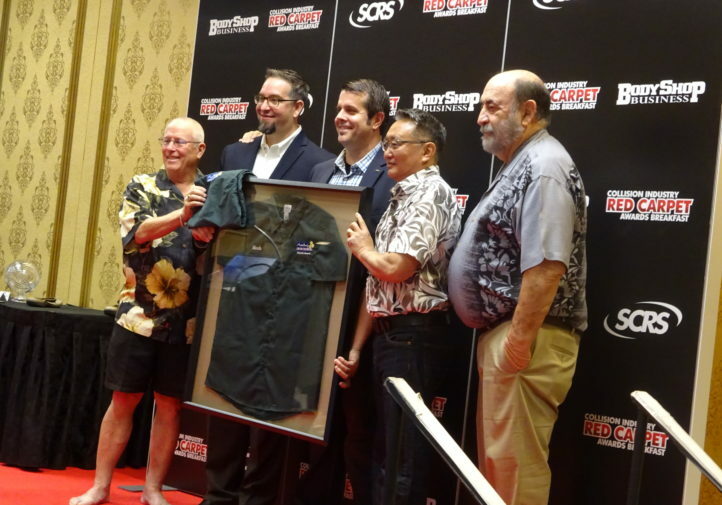 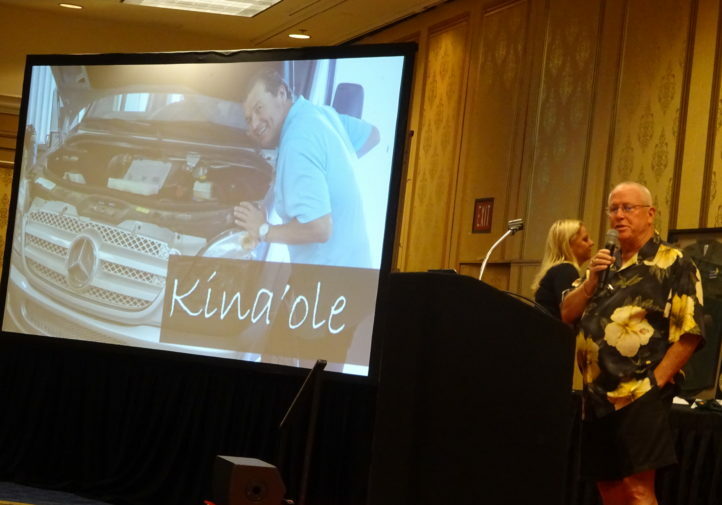 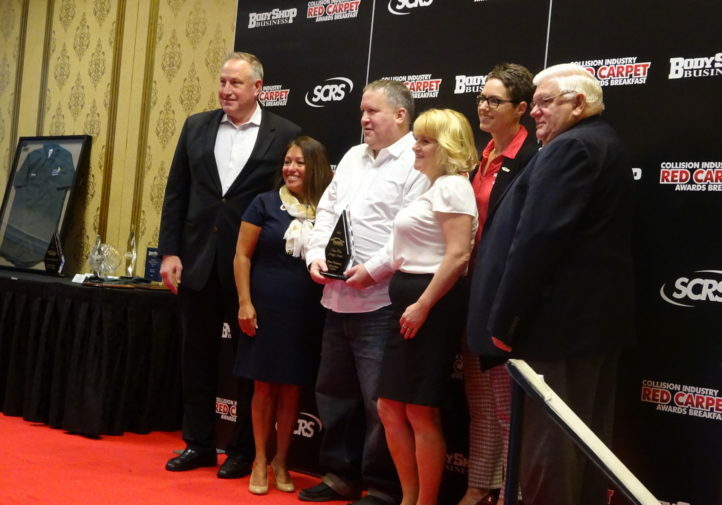 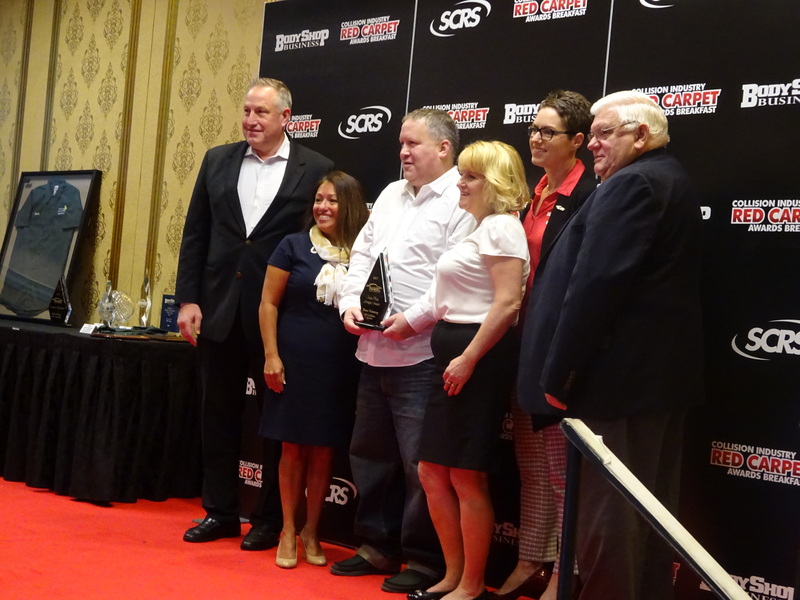 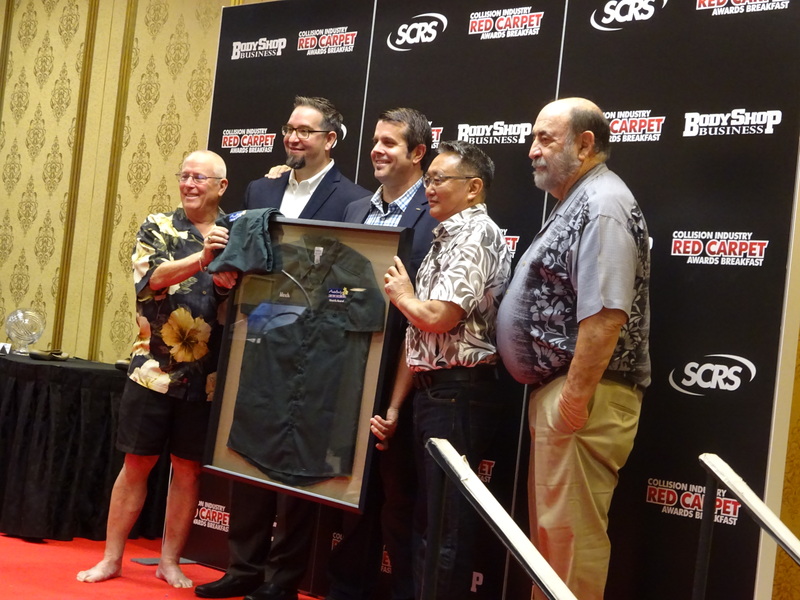 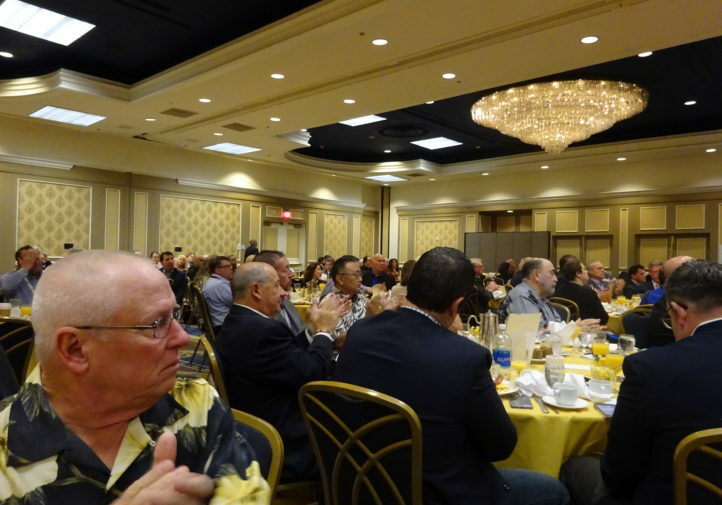 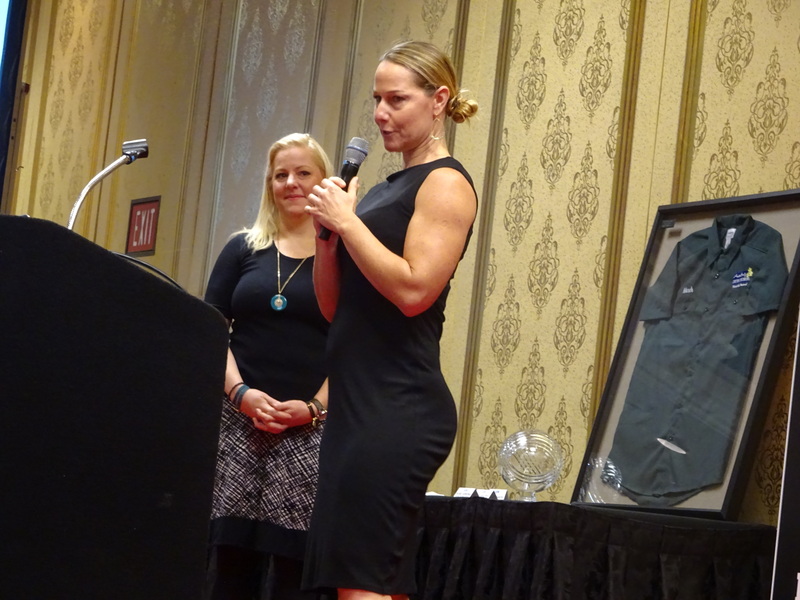 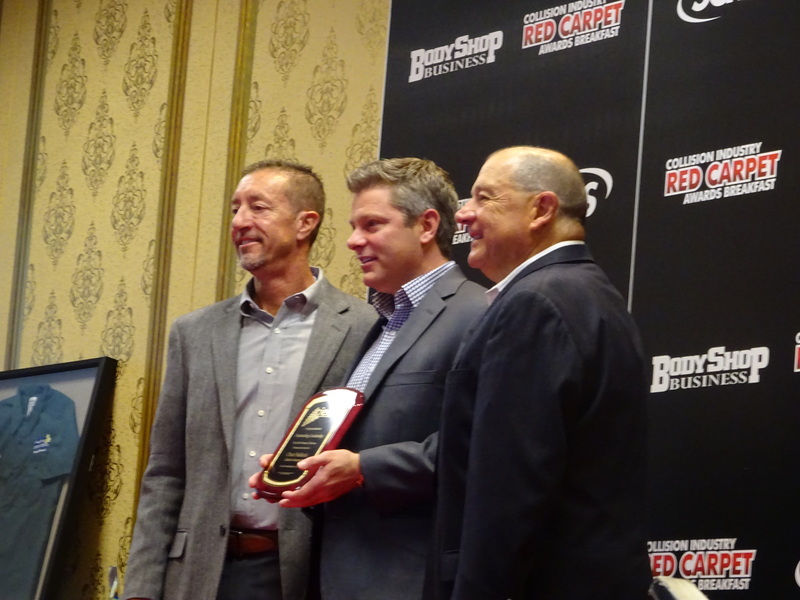 Some of the collision repair industry's leading organizations handed out their highest awards Wednesday during the Society of Collision Repair Specialists and BodyShop Business' Collision Repair Red Carpet Award Breakfast. 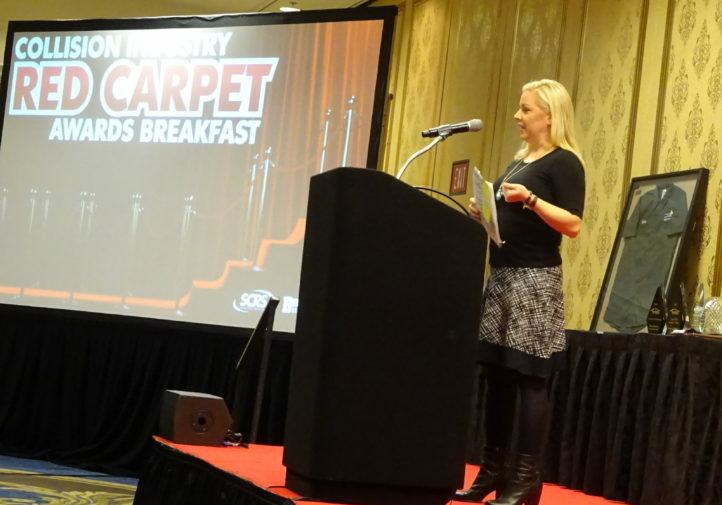 Some of the collision repair industry's leading organizations handed out their highest awards Wednesday during the Society of Collision Repair Specialists and BodyShop Business' Collision Repair Red Carpet Awards Breakfast. 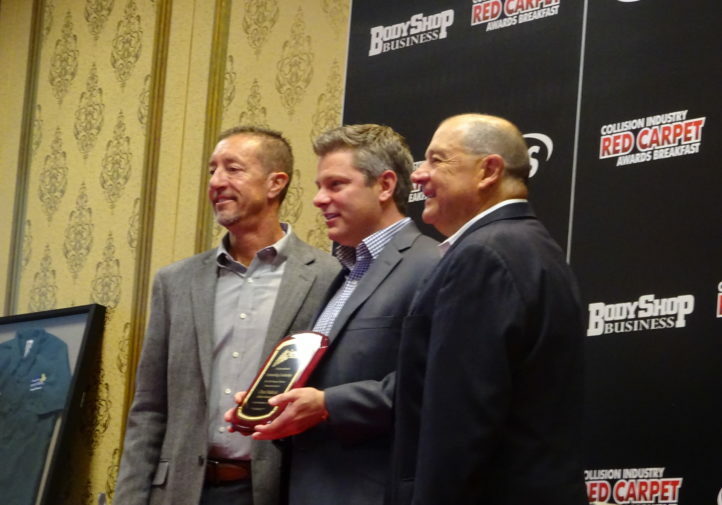 Russ Verona Memorial Award: Jim Guthrie, Car Crafters, Albuquerque, N.M.
I-CAR CEO John Van Alstyne observed that a Russ Verona winner must maintain Gold Class status for five years straight and promote it, but Guthrie “far exceeds those criteria” with 26 years in the gold. 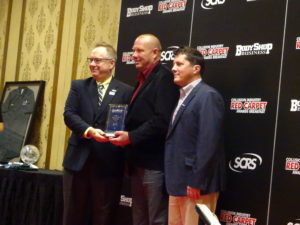 Jeff Silver Award: Richie Webb, Virginia Farm Bureau, Mechanicsville, Va.
Executive of the Year (multi-shop): Steve Kendrick, Kendrick Paint & Body, Augusta, Ga.
March Taylor Memorial Fund Kina’ole Award: Gary Wano, G.W. 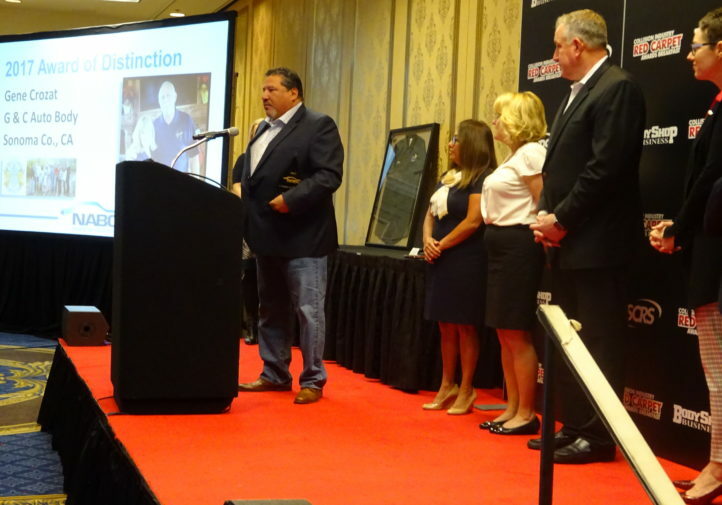 and Son Autobody, Oklahoma City, Okla.